Prescription drugs and medical devices are evolving quickly, and Canadians want access to the latest and most effective treatment options. They also want to know when Health Canada approves new drugs and medical devices, particularly when few or no other options are available to treat a particular disease or condition. Health Canada is committed to providing Canadians with the information they need to make informed choices about their health and well-being. 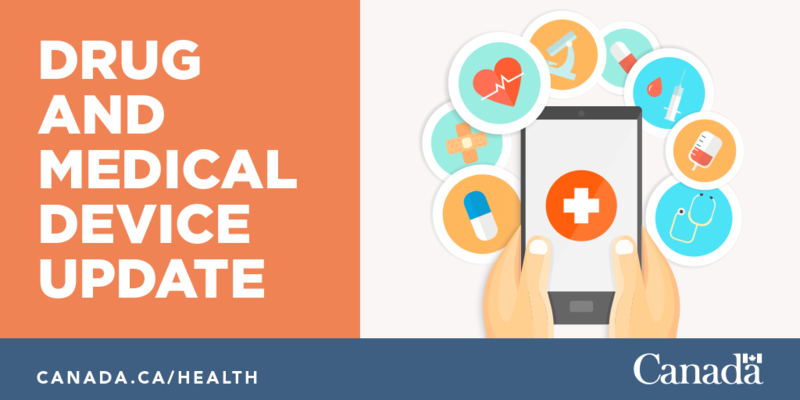 Health Canada informs Canadians of new authorizations of drugs and Class IV medical devices (those representing the highest risk) via Twitter and LinkedIn using the hashtag #drugandmeddevice. Health Canada will now also provide quarterly updates listing the drugs and medical devices that have been authorized during the previous three months. This is part of the Department’s commitment to being transparent and keeping Canadians informed as new treatment options are authorized.